The Brighton Marathon Weekend is an exciting three-day running event in one of Britain’s most vibrant cities. Comprising the Event Village, the children’s Mini Mile Races, a fast 10k and the Brighton Marathon. 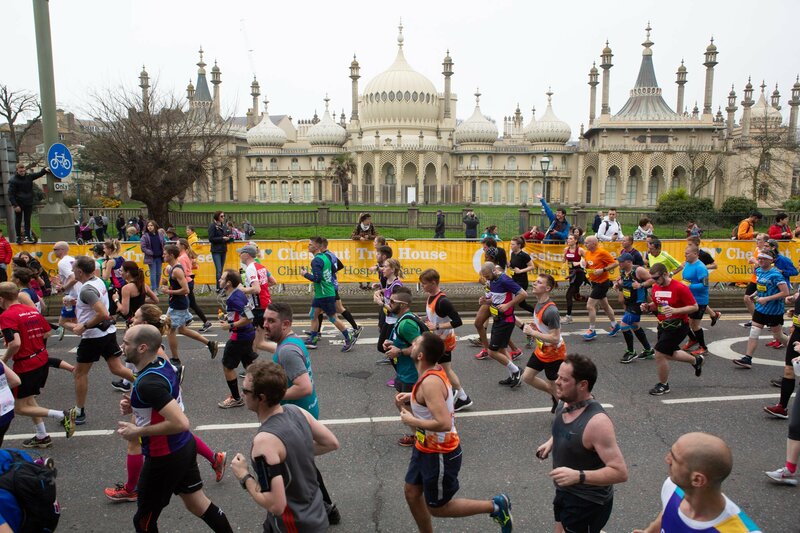 With roaring crowds and a fantastic atmosphere, Brighton Marathon is one of Europe’s favourite 26.2 milers. The course winds through the iconic city centre before finishing on the seafront, where runners can celebrate with friends and family in the Event Village and enjoy live screens, food, bars and of course, deck chairs! Since its inauguration in 2010, Brighton has dramatically developed with course bests for the men and women well under 2hrs10min and 2:29, making it the second fastest marathon in the UK. A must-do event for any seasoned marathon runners! Be a part of the unmissable Brighton Marathon Weekend. We have 9 places left to fill for Brighton Marathon. Runners will be expected to raise £500 in sponsorship, but we will cover the entry fee.